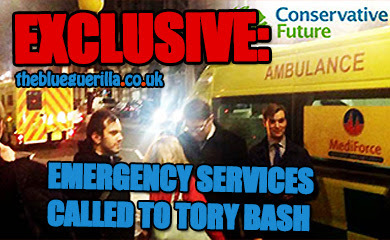 TheBlueGuerilla: EXCLUSIVE: Tatler Tory Mark Clarke Expelled from Party Ahead of Explosive Newsnight Report. 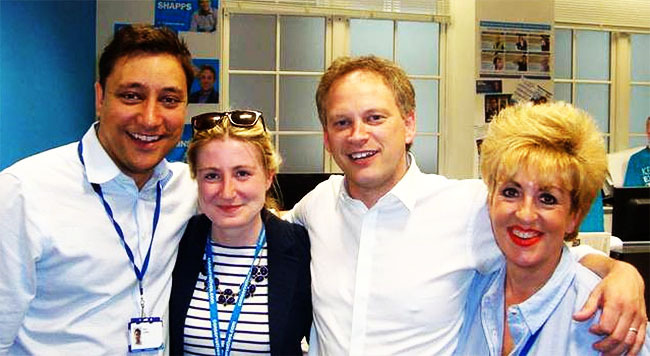 EXCLUSIVE: Tatler Tory Mark Clarke Expelled from Party Ahead of Explosive Newsnight Report. A SECRET meeting of top Tory brass is understood to have taken place last night to discuss expelling Tatler Tory Mark Clarke from the Conservative Party, TBG can reveal. 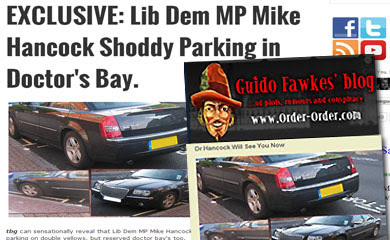 The news comes ahead of an explosive Newsnight report making allegations of sexual assault, bullying and blackmail around the party’s Road Trip campaign. The report's scheduled to be broadcast tonight but a BBC source told TBG they're, "on a knife edge due to Paris" and it may go out later. A senior Conservative source told The Commentator that the meeting took place to discuss how to handle ‘The Clarke situation’ and expelling him from the party was decided as the preferred option. Election guru Clarke was suspended from the party following the suicide of 21-year of Elliott Johnson who killed himself amid allegations of bullying. 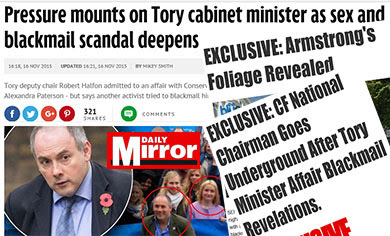 Earlier this week, Cabinet Minister Robert Halfon confessed to an affair with the head of the Tory youth movement, citing fears of blackmail. 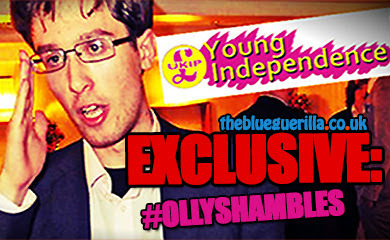 Any bookies taking bets on how long it will be before he joins UKIP? The problem is that the same people who gave him this influential position are still there. Their judgment is severely in doubt as anyone who has been in the Party more than a year or two knew of his reputation. When will someone take some responsibility for jeopardising the safety of our youngest members? One down, just a few old cliche bunch to go! Pidding, Paterson, Canning, Tousi and Vesey-Thompson, but you forgot to include Brummitt & Armstrong? Behave. It's good that the party has finally come to its senses (belatedly) and expelled him. But like the above comment says - what about all his little cronies? He bankrolled Patterson's campaign for CF chair and as the Halfon story shows, she is clearly implicit in his blackmail plots. She may have come running forward with her little sob stories but it's plain as day that she's a nasty piece of work. Anyone who's has a run-in with her will know she's nasty, manipulative, self-important and power hungry. I for one hope her political career is brought to a swift end. Oh and the rest of them! As I've said all along, Bring back Thomas Turrell. Has the party only now expelled Mark Clarke because the scandal was being broadcast on Newsnight? Does his expulsion mean the investigation is over?